E3Live + BrainON Supreme is Certified Organic Fresh Frozen E3Live (Aphanizomenon flos-aquae) with a 4x super concentrated Organic E3AFA extract of Phycocyanin and Phenylethylamine (PEA). Phycocyanin is a natural anti-inflammatory. PEA is a naturally occurring extract that may promote clear thinking and focus to give you optimal cognitive function. 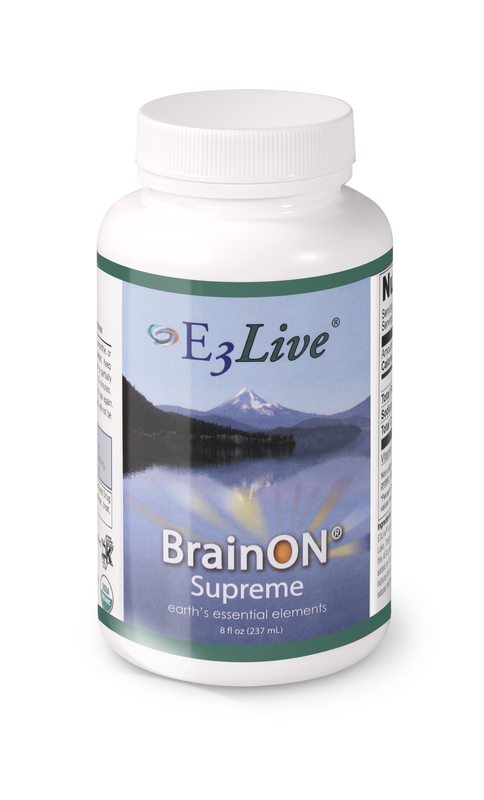 Achieve more Focus and Clarity with E3Live + BrainON Supreme! Feb. Special – Free Bottle of BrainON Supreme! Use coupon FEB2015 during checkout on www.e3live.com to get a Free 8oz bottle of E3Live + BrainON Supreme with any fresh-frozen purchase. ← “Not Your Mother’s PB & J” Smoothie Recipe – Yum!